We are not your average service professionals! I started this business back in 2008–about the time my wife and I were starting our family (if I’m honest, we were actually at a pregnancy check-up when I officially made the decision). We grew it from the ground up, starting with a small portable machine and progressing to a powerful truckmount. I started this business because I knew I could do a better job than the companies I had hired in the past, and attention to detail and a desire for constant improvement is what sets us apart. We put in the time and effort to find and train on the best methods available to ensure you get the results you’re looking for! Depending on the amount of traffic and activity in your house, most carpet manufacturers recommend having your carpet cleaned every 6-12 months to increase the life of your carpet. We love to maintain relationships with clients and become more than just a cleaning service. We want to be part of the routine that makes your life better, healthier, and cleaner. ​We focus on the customers needs. Some cleaners are so concerned with meeting quantity quotas that they overlook details and are not concerned with the quality of their work. We pay attention to the details like cleaning behind the doors! ​Most cleaners agree, even if they won’t say it, that the Rotovac is a better cleaner than their wand systems, but because it is heavier and takes longer to clean with they won’t make the switch. We get you the best results because Spring Clean Carpet uses the Rotovac, paired with a powerful truckmount 100% of the time. ​In addition to the superior results delivered by the Rotovac, we also make sure we’re using the safest cleaning solutions, so there’s very little to worry about. They are all water based and are baby and pet friendly! We’ve developed a systematic process to ensure you get the best results every time. We will evaluate your carpet’s specific needs because every carpet must be treated differently. This allows us to determine the best method for cleaning your carpet. You will know up front what we can and can’t do to make sure there are no surprises. When necessary we will move and then return small furniture to its original position. We treat spots and stains as necessary and apply a cleaning solution to the entire carpet. 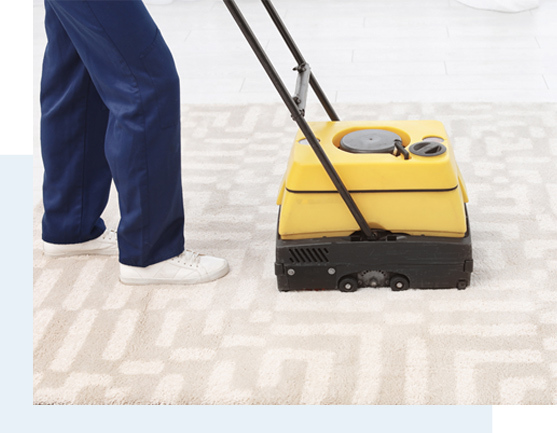 We use our state-of-the-art Rotovac equipment for a fast and thorough deep cleaning of your carpet. We will also clean around the walls with our handheld wand so that every inch of carpet gets clean (when you’re comparing us to others be sure to ask if they do this too!). Fans will also be placed around the room to decrease drying time. Once the project is completed, we re-inspect the carpet with you to ensure all the work was done to your satisfaction. When necessary we will place blocks or foil under furniture legs to protect them during the drying process and will also groom the carpet for a clean inviting look. To decrease drying time, try to keep the room temperature about 72 degrees and use fans to circulate the air around the cleaned carpet.